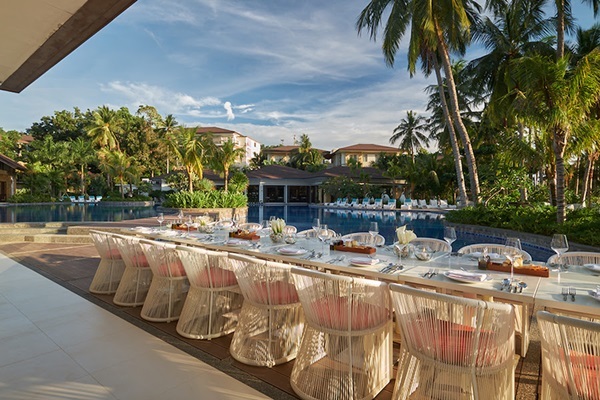 Boracay, Philippines (7 February 2019): Mövenpick Resort & Spa Boracay is inviting guests to celebrate the “Season of Love” in the Philippines, with a romantic tropical island retreat this Valentine’s Day. “Boracay is a wonderfully romantic island at any time of year, but never more so than in February – the ‘Season of Love’. Whether guests are seeking an enchanting couple’s retreat, a memorable honeymoon or even a glittering beachfront wedding, Mövenpick Resort & Spa Boracay is the perfect destination,” commented André Brulhart, General Manager, Mövenpick Resort & Spa Boracay. Mövenpick Resort & Spa Boracay is currently showcasing its romantic credentials in the Season of Love, with a choice of sublime suites and villas, romantic meals and spa treatments. For more information and reservations, please call +63 36 288 2256 or email us at [email protected]movenpick.com. Alternatively, to learn more about how Mövenpick Resort & Spa Boracay can make your wedding day truly magical, please contact the Meetings & Events team at resort.boracay. [email protected]com.